Home » Why Tracking Force is Important for Turntables? Why Tracking Force is Important for Turntables? What is the Tracking Force and What Does It Do? What is the Best Tracking Force Range? Why is the Tracking Force Essential for Your Collection? When you purchase a turntable and start playing music, you may notice that you need to set the tracking force. Depending on the type of audio system you obtain, the amount of adjustment and customization available may vary. On most systems, you can set the tracking force to the optimal range based on the cartridge weight. Recognizing what your tracking force actually does for your records and why it is an important part of maintaining your collection sets the foundation for your plans and goals. The tracking force refers to the way your cartridge sits on the record when playing music. You want to ensure that your cartridge sits with the ideal weight setting when you set up your tracking force. Regardless of the audio equipment and the quality of your system, any quality turntable will allow you to adjust the tracking force. In many cases, you add the cartridge while setting up the audio system. The purpose of tracking force is simple: it determines the amount of weight your cartridge sits on the record. You do not want too much weight, but you also do not want to allow it to sit lightly on the record. The goal of setting up your tracking force is a middle range that falls into the perfect weight to play your music without causing problems for your collection. Determining the optimal range for your tracking force depends on the cartridge. 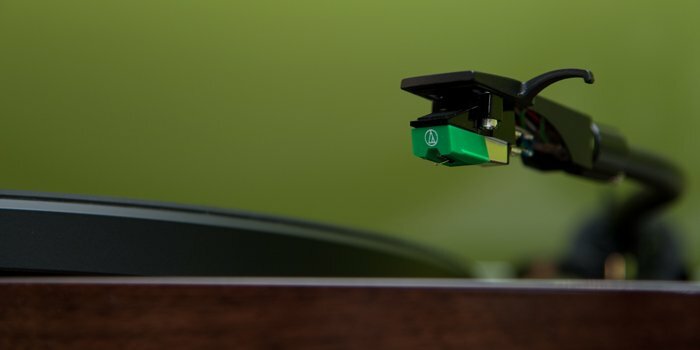 In general, a cartridge manufacturer provides details about an appropriate counterweight range for the specific cartridge you obtained for your turntable. Follow any specific counterweight recommendations and set the tracking force to the middle of the range. In most cases, the range falls between 1 and 3 grams. Keep in mind that some cartridges may set the range lower at 2.5 grams, so you want to read the manufacturer recommendations for the ideal range. Avoid the top range and opt for a mid-range setting. For example, if the cartridge needs a counter weight of 1.5 to 2.5 grams, then set the tracking force to roughly 2 grams instead of falling toward the high or low end of the counterweight recommendations. By falling in the middle, you set the system at the ideal weight to play music without harming your collection. The reason the tracking force is essential for your music collection is the weight on your records. When you set the tracking force too high, it puts extra weight on your records. That may result in wearing down your records or damaging the records from the excess drag. By keeping the tracking force in the right range, you keep your record collection in good condition. While excess weight is a concern for your collection, you also want to ensure the tracking force is enough to play your music. When you set the tracking force too low, it may cause problems in relation to your sound quality and the way the stylus moves over the record. Light force results in the needle ripping across the record and potentially scratching or damaging your collection. It also causes poor sound quality when you play music on the turntable. Setting the tracking force to the ideal range for the cartridge will prevent the cartridge from dragging across the surface of the record. As a result, you do not cause as much damage to the record and your collection lasts longer. The tracking force is an important part of maintaining your records and keeping your collection in pristine condition. When you play a record, you want to listen to the music without harming the surface and wearing it down. By setting the tracking force to the ideal range based on the counter weight recommendations on the cartridge, you avoid unnecessary problems with your records and you will have better sound quality when using a turntable to play your music. Fluance’s RT81 High Fidelity Turntable plays traditional LP and EP vinyl records with stunning quality that achieves the purest sound reproduction.